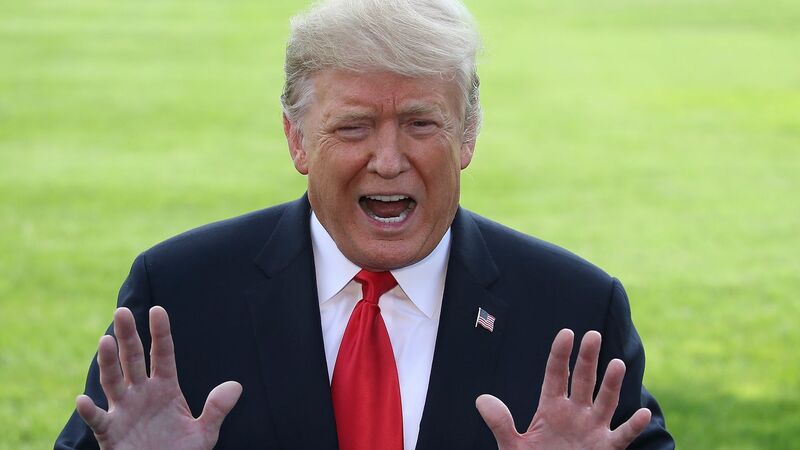 President Donald Trump expressed suspicion regarding the United Nation's new, landmark climate change report, saying that he'll look at the report but he also wants to look at "which group drew it." Between the lines: Trump announced his intention to pull the United States out of the Paris Climate Agreement in 2017 after major players inside the White House and Congress convinced him to fulfill his campaign promise, unraveling years of work the Obama administration previously did on climate change. The United States is currently the only holdout on the agreement, although it can’t formally leave the treaty until 2020. The big picture: This was the president’s first acknowledgement of the report, since the White House did not put out a statement when it was released. The Intergovernmental Panel on Climate Change — a Nobel Prize-winning group tasked with informing policy makers on climate science — crafted the analysis. Representatives of global governments approved each word of the new report’s summary, including officials from the State Department. It was also co-authored by scientists from the United States. "It was given to me. It was given to me," Trump said. "And I want to look at who drew it. You know, which group drew it. Because I can give you reports that are fabulous, and I can give you reports that aren’t so good. But I will be looking at it." The U.S. was one of the countries to request the new report when the Paris Agreement went into effect. The details: The report dives deep into the severe and deadly consequences the global community could face in just a few years if temperatures are allowed to move past 1.5°C, or 2.7°F, of warming relative to preindustrial levels. It also details preventive measures the world's governments can take. President Trump, however, remains skeptical.